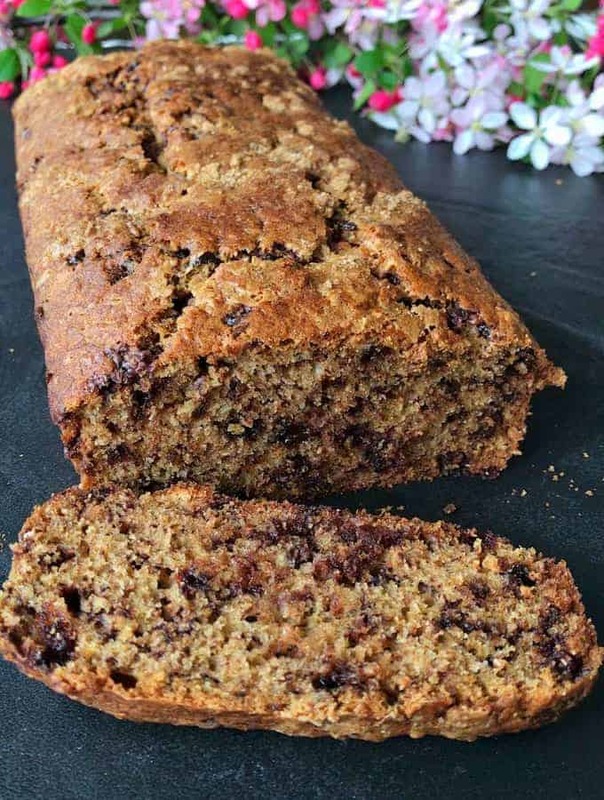 This banana chocolate chip loaf is so moist and delicious! Such a great way to use up ripe bananas. 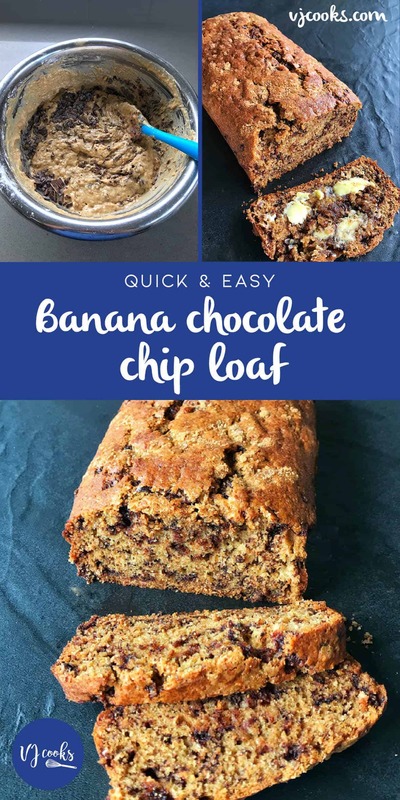 I had some brown bananas to use up so I thought I would make a delicious banana chocolate chip loaf. 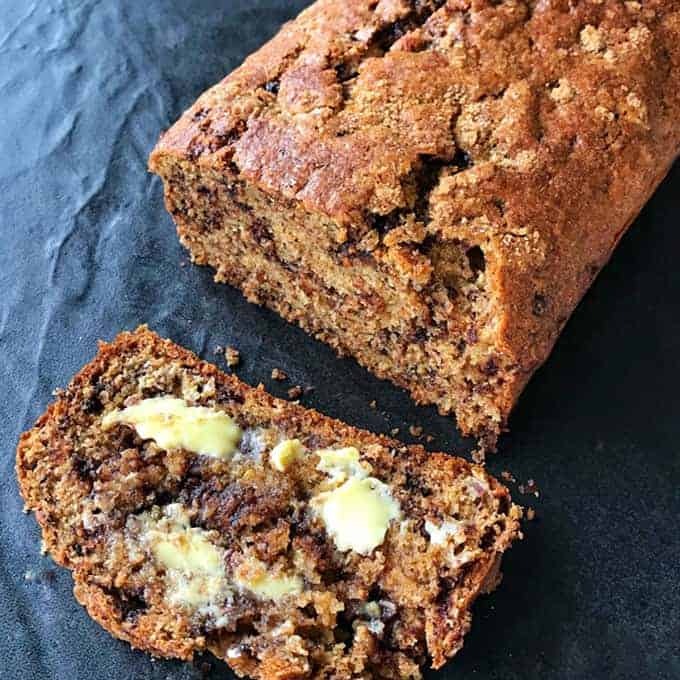 My husband and kids love the combo of banana with chocolate so this loaf went down well with them. I used half plain white flour and half wholemeal flour in the mixture. I also only had half a cup of chocolate chips so I chopped up some Whittaker’s 50% cocoa dark chocolate to bulk up the chocolate factor. 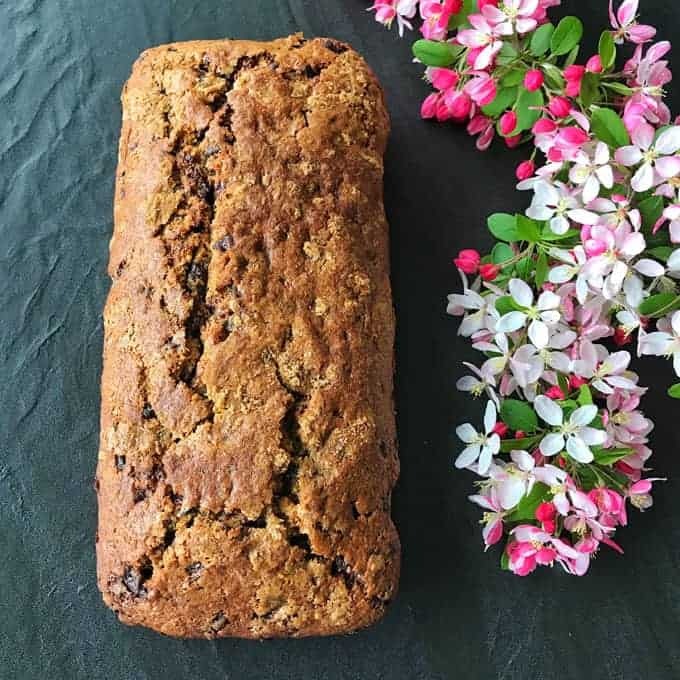 This recipe makes one large loaf, I like to scatter brown sugar on top before baking to give it a nice crunchy topping. 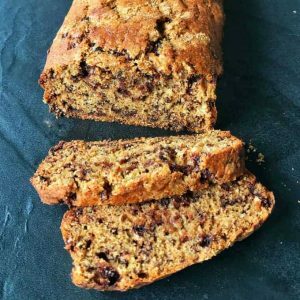 This recipe would also work well as muffins or mini loaves. It would also be a great present for someone wrapped up in brown paper with some rustic string. 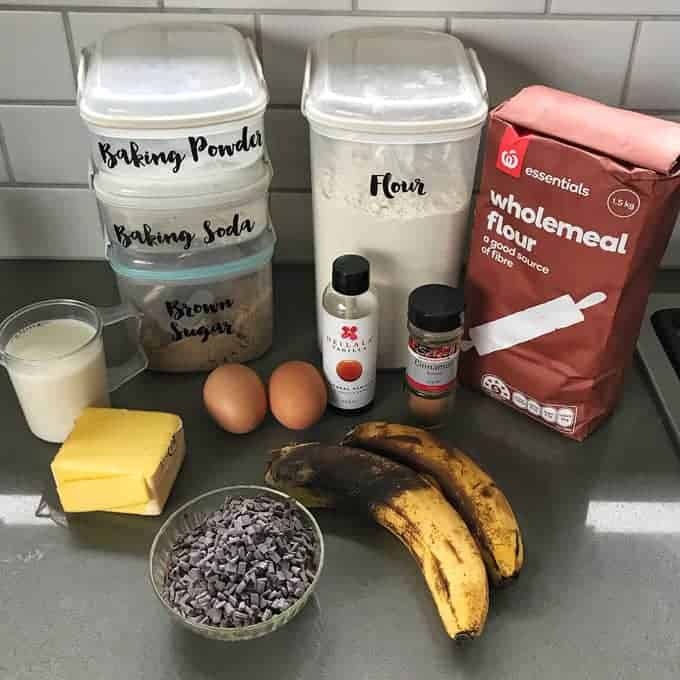 I hope you enjoy my easy recipe for banana chocolate chip loaf. I’m sure your family and friends will love it as much as mine do! 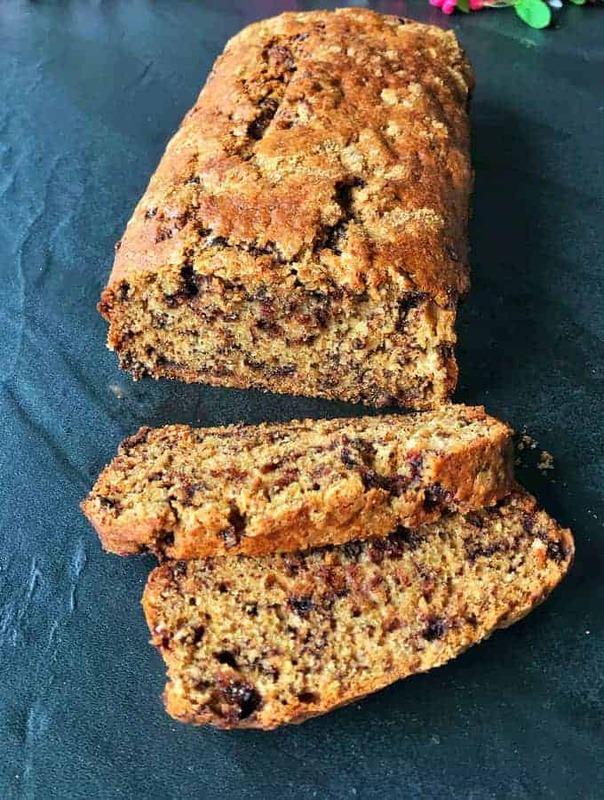 This banana chocolate chip loaf is so moist and delicious! Such a great way to use up ripe bananas. 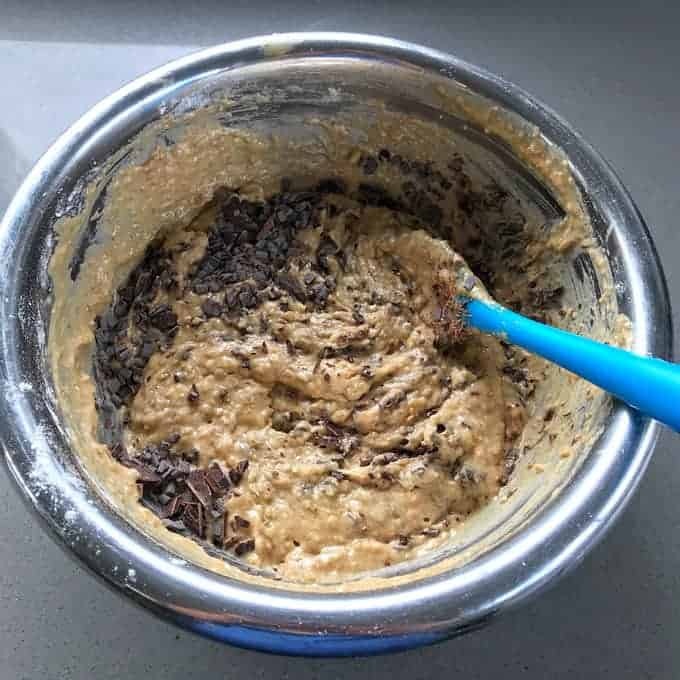 Mix together butter, brown sugar, cinnamon, vanilla and eggs in a large bowl. Add banana and milk then stir again. Sift in flours, baking powder and soda then fold all ingredients together until combined. 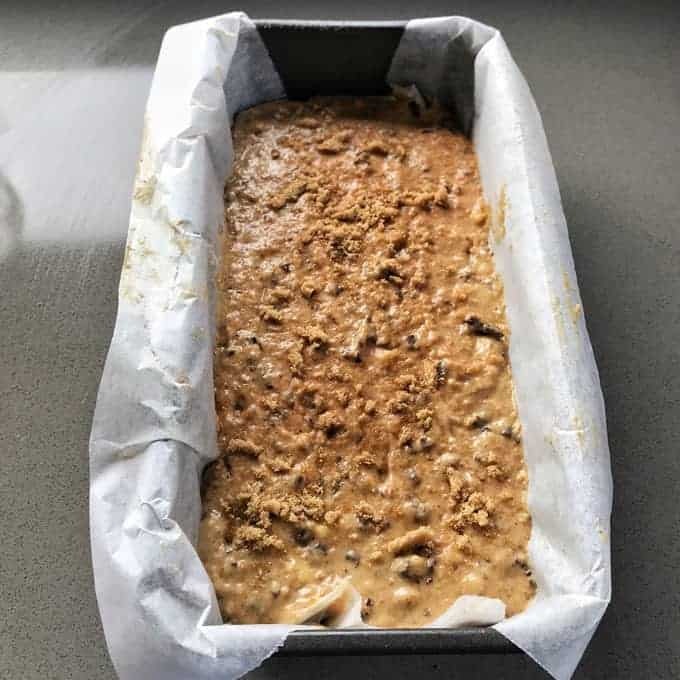 Pour into a lined loaf tin and scatter over brown sugar. Bake for 40-50 minutes or until golden and cooked through.